PICK IT UP FROM UK STORES: TODAY! - EIGHT classic ‘Time Warp’ posters. We step back in time to the days when Paramore, Bring Me The Horizon, All Time Low, Fall Out Boy, Panic! At The Disco, Sum 41, Enter Shikari and Asking Alexandria were all a bunch of young’uns! - 15 FREE tracks on your 100% Volume covermount CD, featuring 36 Crazyfists, Storm The Sky, Oceans Ate Alaska, Fort Hope, Inherit The Stars + more! It’s been a rough road for Ronnie Radke over the last few years but now he’s finally finding peace. 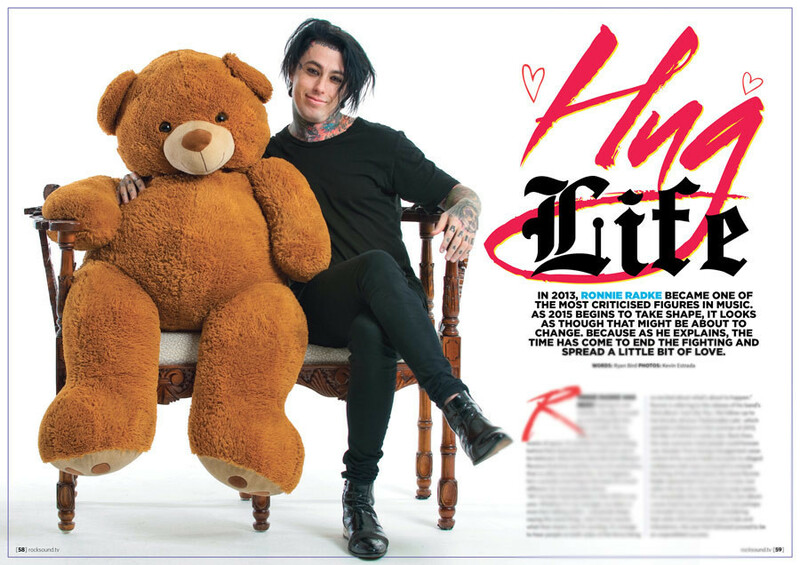 In our tell-all cover feature, the Falling In Reverse frontman opens up about love, loss, fatherhood and everything in between. Don’t write the man off yet - he might be a little more like you than you think. ELSEWHERE IN THE MAG: We pin down Asking Alexandria’s Ben Bruce to talk solo albums and Issues man Tyler Carter rediscovers his R&B roots. Attila’s Chris ‘Fronz’ Fronzak rebuffs all the accusations of misogyny levelled against him, while Fall Out Boy’s Patrick Stump and Pete Wentz share the secrets of their ever-lasting friendship and musical bond. Fightstar are back and we speak to Charlie Simpson about new music and split personalities, while Deaf Havana’s James Veck-Gilodi spills the beans on how he very nearly quit everything. 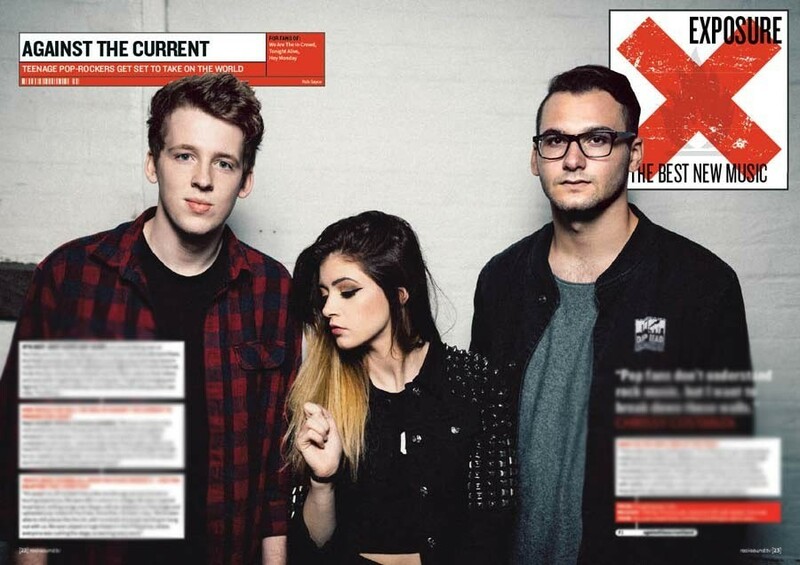 IN EXPOSURE: We give a warm welcome to Poughkeepsie pop-rock three-piece Against The Current and find out why Chrissy Costanza is one of rock’s most promising leading ladies in 2015. Multi-talented YouTube sensation Emma Blackery tells us why it’s okay to be insecure, and we get to grips with Oceans Ate Alaska, Alive Like Me, Storm The Sky, Light You Up and more. ALSO IN THE MAG: Beartooth face a grilling from their fans as they step into the Firing Line, Kid Rock dishes out some life lessons, You Me At Six’s Josh Franceschi picks the world’s weirdest playlist in our new My Tunes feature, and we induct Snot’s punk classic ‘Get Some’ into our Hall Of Fame. IN REVIEWS: We put Falling In Reverse’s ‘Just Like You’ under the microscope, discover whether 36 Crazyfists have come back with a bang on ‘Time And Trauma’, and count the breakdowns in Stick To Your Guns’ latest effort. 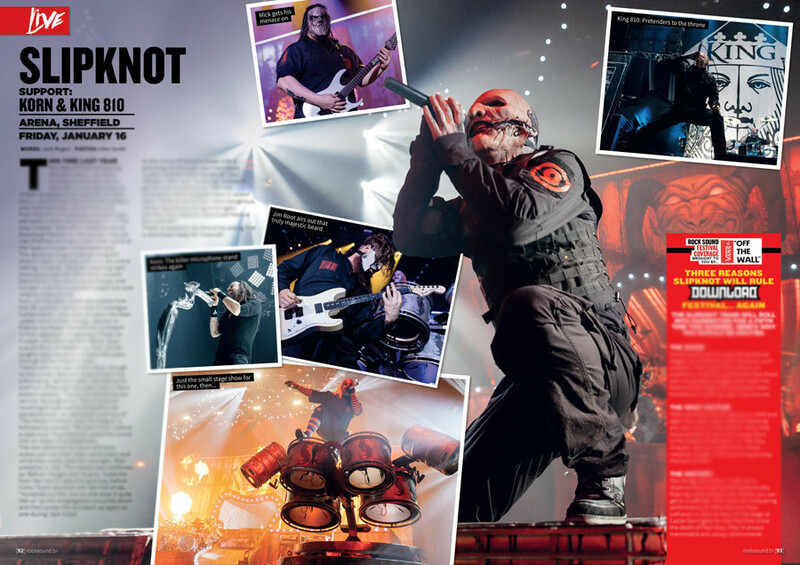 PLUS we tell you exactly what went on at Slipknot and Korn’s Prepare For Hell Tour, and go behind the barrier with Welsh stalwarts Funeral For A Friend in Bristol. DON’T FORGET! You’ll get eight classic Time Warp posters of Paramore, Bring Me The Horizon, All Time Low, Panic! At The Disco, Sum 41, Enter Shikari, Fall Out Boy and Asking Alexandria. Just look how young they all are! ALSO FREE WITH THE MAG: Our regular 100% Volume covermount CD is back, stuffed with new bangers from 36 Crazyfists, Storm The Sky, Oceans Ate Alaska, Hellions, Fort Hope, Sirens In The Delta, Inherit The Stars and more.